A cute - as always - French bulldog in Nice yesterday. 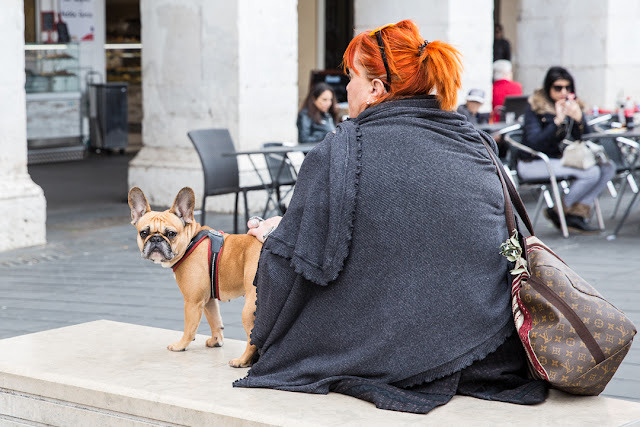 As much as I love dogs, my eyes were immediately drawn to the woman and her fiery hair. I noticed the hair, too. I like the trend of women dying their hair in pretty colors. I'm afraid this one has passed me by, but if I were younger I'd try magenta or purple.